This is where a grandma shines." I Love My Grandpa! 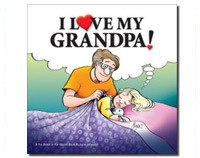 celebrates the relationship a child has with his or her grandfather, through the eyes of grandchildren from around the globe, including the Patterson family from the classic comic strip For Better or For Worse. 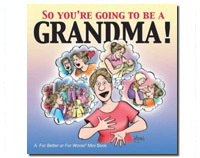 By way of a heartwarming poem, this charming book covers some of the thrills and spills of becoming a "grandpa"-surprised by the unexpected joy of holding a baby again-and playing a special role in the life of a growing youngster. Summary: These 3.75' by 3.25' hardcover For Better or For Worse 'Little Books' feature carefully chosen, full color illustrations taken from the popular comic's panels. The pictures in these books are set to a specially written poem, offering words of encouragement and joy. 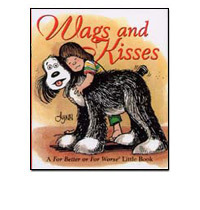 Each book is hand signed by Lynn and makes a great gift. This little charmer offers words of encouragement and joy on a most special family moment—the arrival of a baby boy! 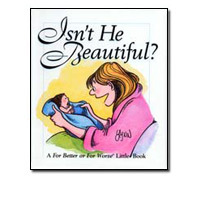 An ideal gift for new or expecting parents. Summary: These 3.75" by 3.25" hardcover For Better or For Worse "Little Books" feature carefully chosen, full color illustrations taken from the popular comic's panels. 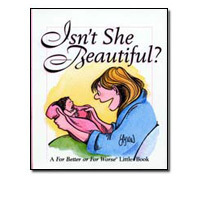 The pictures in these books are set to a specially written poem, offering words of encouragement and joy. 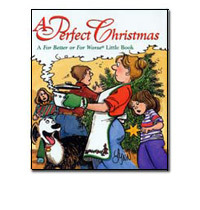 The Patterson clan learns what a perfect Christmas truly is! It's the joy of giving, the preciousness of child-made ornaments, and bringing in the season together with love. This book comes with a special bookmark that includes a charm. As endearing as a playful pup, this little book pairs charming watercolor cartoons with humorous verse that illustrates why dogs are such a special part of our lives. Summary: These 3.75 by 3.25 inch hardcover For Better or For Worse "Little Books" feature carefully chosen, full color illustrations taken from the popular comic's panels. 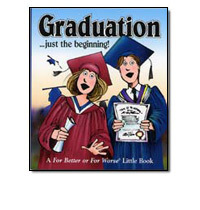 Humorous and touching, this little book collects moments from the Pattersons' lives and celebrates the many passages children make - from kindergarten all the way to college.